For a fast and cost-effective method of unloading high cubed loads, used within the canning and palletized goods industry. The upgrade is a 'T-Bar' chain operated powered unloader. 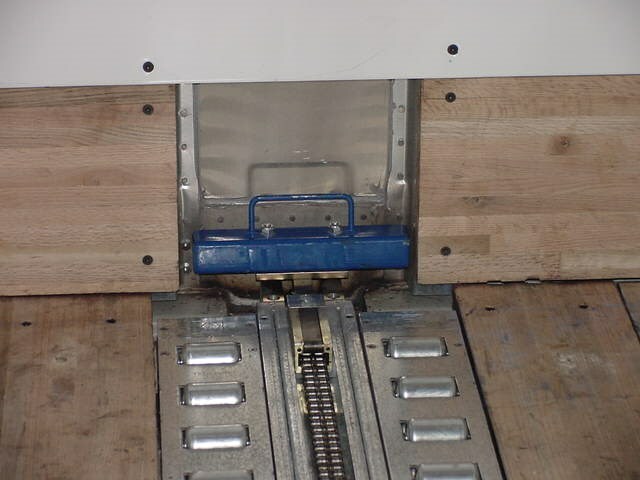 The powered T-Bar systems are designed specifically for truck loading and power unloading. 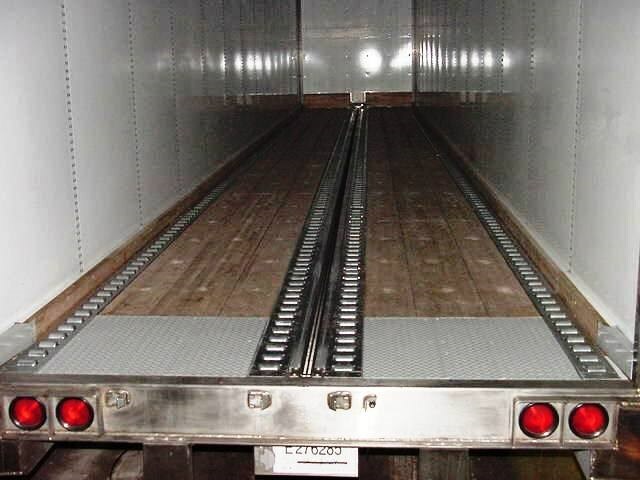 This system is a fast, cost-effective method of unloading high cubed loads. 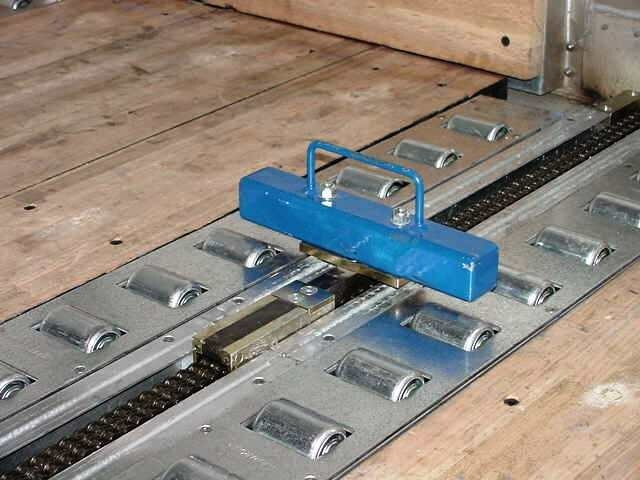 The hydraulically powered chain driven "T-Bar" pushes palletized loads over a pneumatic roller track, unloading a typical 53ft. trailer in less than 2 minutes. 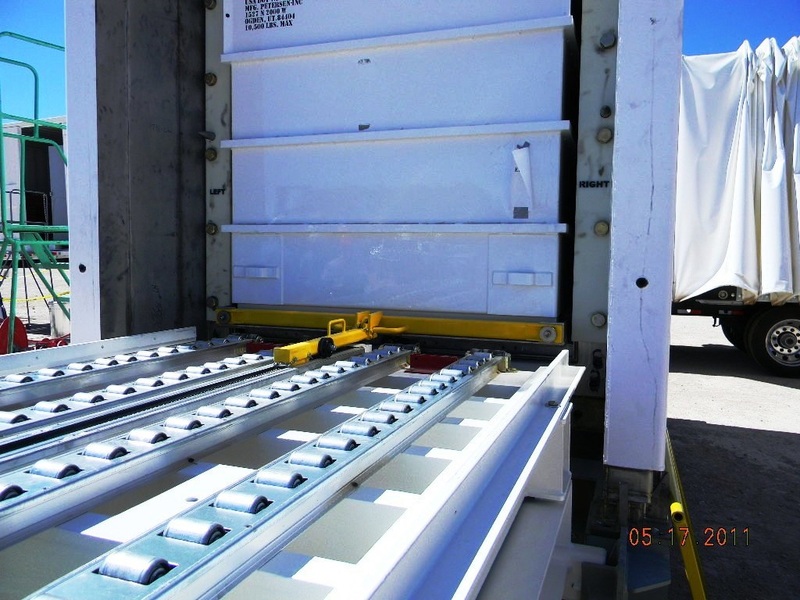 The T-Bar system is an ideal solution for bringing in supplies from vendors and power unloading directly into a manufacturing operation. » Vehicle loaded manually by Fork Lift, power unloaded by T-Bar System. » Lower cost than Slipchain. » Usually used on empty can haul operations.